Apple is making an uncharacteristic appearance at a publishing industry conference to promote its iBookstore as a significant player among digital books. The conference, known as BEA (BookExpo America), is held in New York City in the Jacob Javits Center May 24-26. It lists Apple as being in booth MR6053, adjacent to major book publishers including Random House, Hachette, Macmillian, Scholastic, Disney Books, Penguin, Rodale, and Wiley. The expo says Apple will be represented by iBookstore's Scott Simpson and notes "Private meeting room: publishers, please contact us to reserve a meeting time." Apple just launched its iBookstore last April in conjunction with iPad, and has since noted that 100 million books have been downloaded. According to a Goldman Sachs report from February cited by a report by PaidContent.org, Apple is the third largest ebook seller, behind Amazon's 58 percent leading share of the market, Barnes & Noble in second place with 27 percent, and ahead of Borders-Kobo's 7 percent fourth place spot with 9 percent of ebook sales. 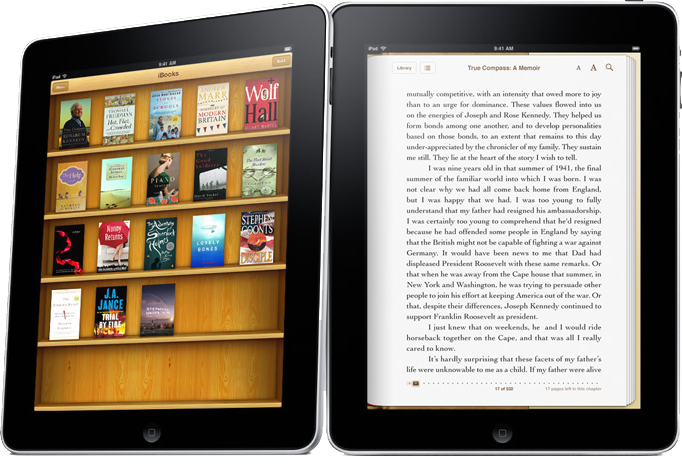 In March, Apple announced that Random House, the only remaining major book publisher absent from the iPad's iBookstore, was now on board, just prior to the launch of iPad 2. Apple has increasingly pulled out of major appearances at industry trade shows, including Macworld Expo and NAB, noting that it can more effectively reach its customers through its expanding network of retail stores. BEA is differentiated in that it caters to the publishing industry rather than end users.